The Division of Nephrology at Tri-Service General Hospital was founded in July 1979 by separating from the Division of Endocrinology & Metabolism. 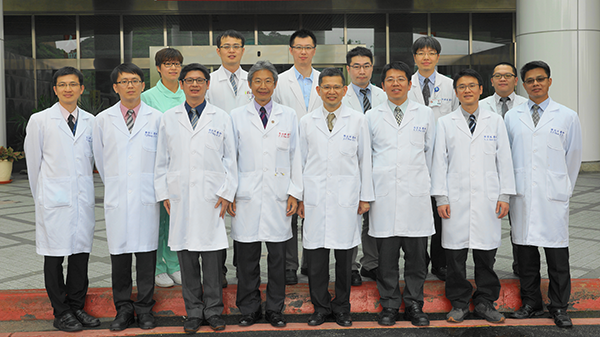 The laboratory of kidney function tests and dialysis center were subsequently established in late 1979 and 1985, respectively and started conducting hemodialysis and peritoneal dialysis for uremic patients. The faculties include the chief, the director of the dialysis center, six attending physicians, three fellows, thirty-three dialysis nurses, and three technicians. The clinical tasks cover acute kidney injury, chronic kidney disease, electrolyte & acid-base disorders, glomerulonephritis, intoxication, and other kidney disorders. The primary services are dialysis, kidney biopsy, and bone biopsy. Since 2001, the plasmapheresis is provided to patients with neuropathies, autoimmune diseases, or patients with transplantation. The academic research in the Division of Nephrology is highly encouraged and active. The main topics of interest are electrolyte & acid-base diseases, glomerulonephritis, renal osteodystrophy, heat stroke, toxicology, and clinical nephrology. The grant proposals have continuously earned financial supports from government and private institutes, and the results have constantly been published in high-profile journals and acknowledged by domestic and international awards.